Scan of RX/2275/6. General view. View from ESE showing ESE front. The existing bridge over the River Tweed at Kelso, dating from around 1800, replaced an earlier bridge that was weakened by a storm in 1797 and collapsed the following day. Unlike the old bridge, the new crossing was equipped with a toll-gate, and a toll-house. John Rennie of Haddington designed both the bridge and toll-house, which lies on the Kelso side of the crossing. 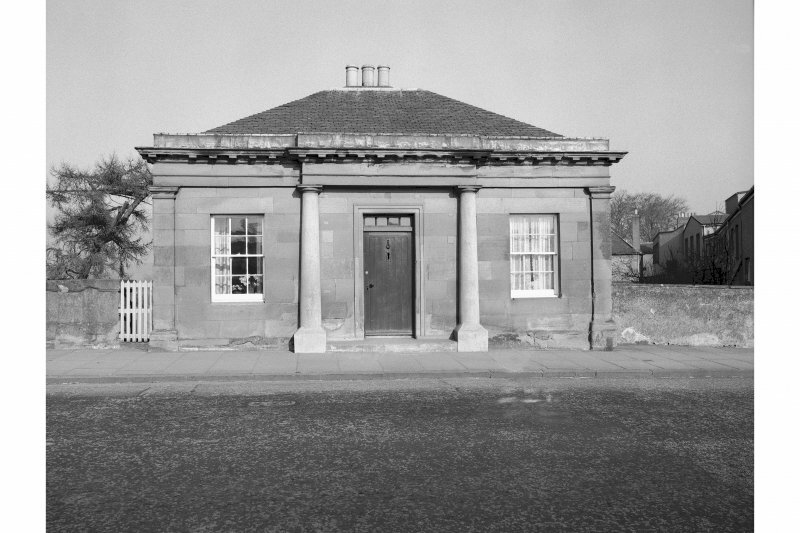 Rennie's single-storeyed toll-house with basement was built in the Classical style popular at the time and reflected that of the bridge itself. While much admired by the people of Kelso, the new bridge had cost #17,800, with #15,000 borrowed from the government. To repay the loan, tolls had to be levied. 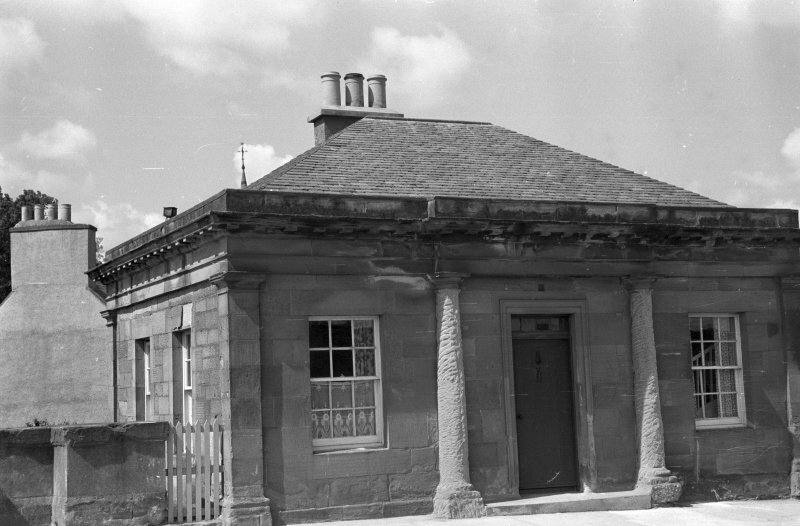 Over 50 years later there was growing dissatisfaction amongst the people of Kelso about the tolls, and a belief that the loan had long since been repaid. 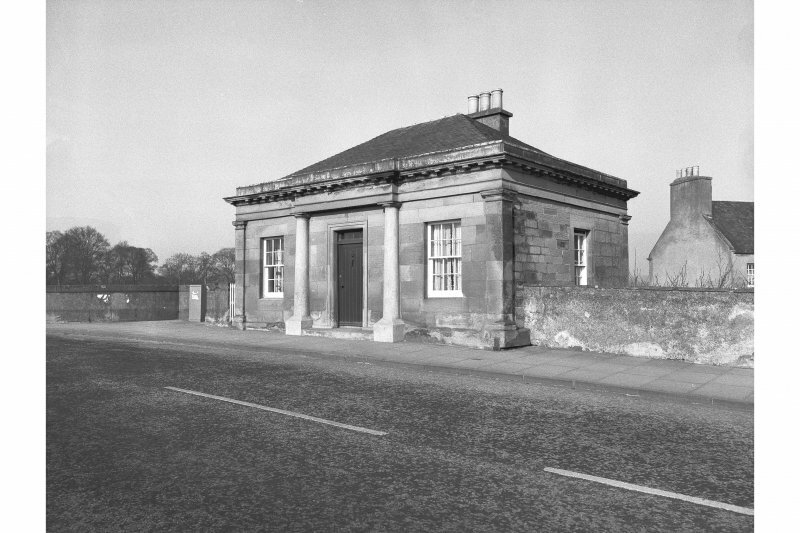 The refusal of the trust managing the bridge to publish any accounts, as well as provocative reporting by the local press, sparked riots in Kelso that led to an assault on the wooden toll-gates. Such was the situation that soldiers were summoned from Edinburgh to bolster the burgh police and order was eventually restored although none of the leaders of the riot were ever identified. The end of 1854 finally saw the abolition of the tolls. Formerly entered as NT 0000 984. For associated Kelso Bridge (adjacent to S), see NT73SW 64.01. OS (GIS) MasterMap, July 2010. 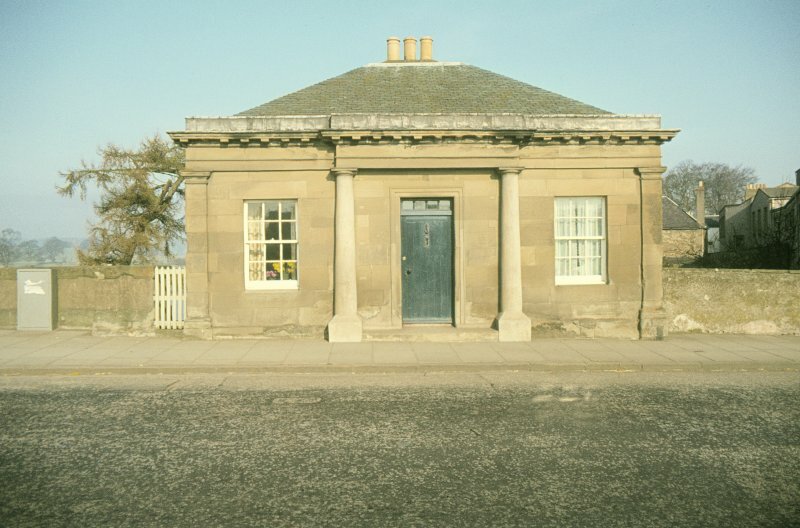 The tollhouse was designed by John Rennie, engineer and was presumably built in 1800-1803. It is now in use as a dwelling, and named Bridge End Cottage. (Location cited as NT 728 336). Kelso Bridge and tollhouse. The tollhouse is a delightful single-storey 3-bay building in the same style as the adajcent Kelso Bridge (NT73SW 64.01). The Toll-House stands one-storey to the carriageway, three-storey to the river.